A farmer was plowing his field when he saw in a furrow, a small chest had turned up. He opened the chest, it brimmed with gold coin, and a carefully sealed parchment. Not being able to read the farmer tossed the parchment aside, and used the coins to purchase a nearby house, which he converted into a pub. He named it, “Black Dog” after a phantom hound who plagued the land in the days of his father. On a stormy afternoon a barbarian came to patronize the pub. Now, Barbarians have a number of natural abilities; they are fierce warriors who are born and raised in the wild, they are single minded, stubborn, and love to drink ale and eat cabbage. Yet outside of the wild, they are often bewildered, unable to deal with the complexities of civilization. Served he drank cask after cask, soon all the ale was consumed and the barbarian demanded more. The farmer, turned pub keeper meekly told that barbarian that all the ale was gone. “Evil?” gasped the farmer recognizing the scroll as the one from the chest. Mix all the wet and dry ingredients, dissolving the saltpeter and sugar. Let cool to room temperature and put it in a bucket with the brisket. Cover the brisket with a plate to hold it down much like a mafia hit man giving you cement galoshes. Brine the brisket for 2 weeks turning the meat over every third day to make sure it’s thoroughly pickled. Soak the now corned beef in clean water overnight to remove the excess salt, changing the water every 4 hours while you are awake. 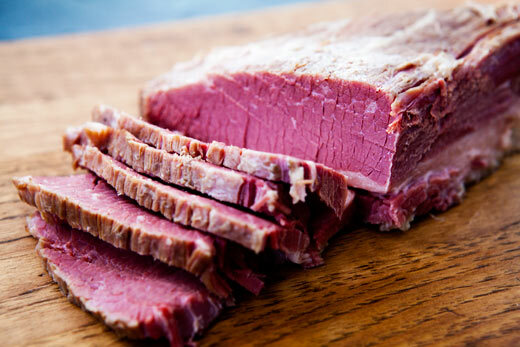 Boil the corned beef until it is tender and delicious.